Be the first to share your favorite memory, photo or story of Pricilla Ann. This memorial page is dedicated for family, friends and future generations to celebrate the life of their loved one. 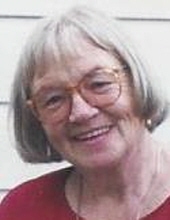 Priscilla Ann Lewis (nee Raisner), 89, died September 15, 2018 at the Atrium at Hamilton Park in Jersey City. Born in Bayonne she was a lifelong resident of Jersey City. She worked as a switchboard operator for the Combustion Engineering Company in New York City for 40 years before retiring 30 years ago. She was the beloved wife of the late James, the dear step mother of Diane Lewis, the loving sister of the late Marilyn Alfieri and Joan Russotto, and the cherished aunt of many nieces and nephews. Relatives and friends are invited to attend a Funeral Service at the Parow Funeral Home, 185 Ridge Road, North Arlington on Wednesday , September 19, at 11 A.M. Visitation will be held at the Funeral Home from 10 A.M. until time of Service The interment will follow in Holy Cross Cemetery, North Arlington. In lieu of flowers please make donations to the Alzheimer’s New Jersey, 400 Morris Ave., Denville, N.J. 07834. To send flowers or a remembrance gift to the family of Pricilla Ann Lewis, please visit our Tribute Store. "Email Address" would like to share the life celebration of Pricilla Ann Lewis. Click on the "link" to go to share a favorite memory or leave a condolence message for the family.